The Elizabethan era was a period of English history when the Court of the Queen played a large part in determining the events in the country. It was a period when religious difference between Protestants and Catholics was a major division within the country and pressures from two continental powers, France and Spain required considerable diplomacy. There was unrest in Scotland and the wider world was being discovered through the voyages of Frobisher, Raleigh and Drake. It was the period of Shakespeare, Spenser and Marlow. Major political figures during her reign were Thomas Howard, the 4th Duke of Norfolk, William Cecil and Robert Dudley. The owners of Rising, particularly Thomas Howard, were heavily involved in the Court of the Queen and some paid the ultimate price for that involvement. As a consequence it seems unlikely that they paid much attention to the Manor or Chase. It was also a period of change for the Manor of Castle Rising. The chase may have still served as an exclusive area for hunting game, but the castle and village were probably neglected. Thomas Howard, the 4th Duke of Norfolk (Appendix 1) had been attainted [loss of rights through conviction] by Queen Elizabeth for his involvement with Mary, Queen of Scots and he was executed for treason in 1572. The Manor and Chase of Castle Rising was one of his many properties and it remained in Royal ownership until 1578, when it was transferred into the ownership of Edward de Vere, 17th Earl of Oxford. “Grant for Edward, Earl of Oxford, himself & heirs The Queen to all to whom etc., greeting. Know that we, as well in consideration of the good, true & faithful service to us by our dearly beloved cousin Edward, Earl of Oxenford, Great Chamberlain of England, before this time done & given as for divers other causes & considerations us specially moving, of our special grace and of our certain knowledge & mere motion have given & granted and by these presents for us, our heirs& successors, do give & grant to the forenamed Edward, Earl of Oxenford, all that our lordship or manor of Rising at the Castle with its entire rights, members, liberties &appurtenances in our county of Norfolk late being parcel of the lands & possessions of Thomas, late Duke of Norfolk, of high treason attainted & convicted; And all that our castle of Rising otherwise called Rising Castle with the appurtenances in Rising aforesaid, and all that our site of our castle of Rising with the appurtenances, and all the houses, edifices & buildings within the foresaid site of our foresaid castle or to the said castle & site or either of them belonging or appertaining, and all that our close of land called Braty Close with the appurtenances in Rising aforesaid in our said county of Norfolk and lately being parcel of the lands & possessions of the said Thomas, late Duke of Norfolk; And all those our lands, tenements [+&] mills whatsoever, fold-courses of sheep of divers kinds, rents & hereditaments whatsoever in Rising aforesaid in our said county of Norfolk late parcel of the lands & possessions of the foresaid Thomas, Duke of Norfolk, of high treason attainted & convicted; And all & all manner the warrens, chases, guiding of wild beasts whatsoever, fishings, tolls, liberties, privileges, franchises, royalties & pre-eminences whatsoever to the said lordship, manor or castle of Rising aforesaid or to any of them belonging or in any wise appertaining, or as part, parcel or member of the same lordship, manor, castle and other the premises or any parcel thereof being had, known, taken, used or reputed, or in the same lordship, manor, castle & other the premises or in any of them or in any parcel thereof being used, occupied or exercised, and also all that our chase & free warren called Rising chase and the soil & ground of our same chase with its entire rights, members, liberties & appurtenances in our said county of Norfolk, late being parcel of the lands & possessions of the said Thomas, late Duke of Norfolk, and all & all manner our wild beasts, as well male as female, in & within our foresaid chase & free warren called Rising chase in our said county of Norfolk; And also the advowsons, gifts, free dispositions & rights of patronage of the rectories & churches of Rising & Roydon & every of them in our said county of Norfolk with their entire rights, members & appurtenances”. Edward de Vere (see Appendix 2) was an interesting member of the Court of Queen Elizabeth. His chief claim to fame now (apart from his reported flatulence) is as a possible candidate for the authorship of the works attributed to William Shakespeare. Although he was related to the Howards by marriage (his aunt Frances was the wife of Henry Howard, a poet, son of the 3rd Duke and their son was the 4th Duke, mentioned above), rights of succession should not have resulted in him becoming Lord of the Manor of the Parish. Nina Green (pers. comm.) speculates that the reason Queen Elizabeth sold it to Edward de Vere, a frequent attendant at her Court, was that she had been persuaded that the property should eventually be returned to the successors of the 4th Duke and this was a roundabout way of doing it. The next evidence of transfer of ownership of the Manor occurs in 1584 when the property was transferred to two gentlemen – Roger Townsend and Robert Buxton. “Conveyance by Edward de Vere, Earl of Oxford, to Roger Townshend, Esq., and Robert Buxton, gent., of the manor and castle of Rising, Brakeye Close in Rising, Rising Chase with wild beasts, advowsons of Rising and Roydon, and waste ground called Riffeleye, excepting Ryffelye Close and common rights of the inhabitants of Gaywood” . Roger Townsend and Robert Buxton were both in the service of Phillip Howard (Appendix 3), son of the 4th Duke, so presumably this sale was indirectly to Phillip. However direct evidence of the transfer from these two to the “feoffes of Philip, Earl of Arundel” occurs in another document in the Norfolk Record Office dated 1588. “Conveyance by Townshend and Buxton to feoffes of Phillip, Earl of Arundel, of property as in last”. The famous Map of the Chase of 1588 was commissioned and produced on this date also, but the circumstances of its production are not clear. Perhaps Elizabeth already knew that the property would come into her hands again since Phillip was soon to be attainted. Phillip was a Catholic in England when it could be dangerous to be so. He was eventually committed to the Tower of London on charges of high treason and although never convicted, he was attainted in 1589 and died from dysentery after ten years of imprisonment there. He was immediately declared a martyr by the then pope and was much later canonised by Pope Paul VI in 1970, the only Lord of the Manor of Rising who achieved Sainthood! PUBLIC RECORD OFFICE C 66/1165, mbs. 34-37 2 as translated by Nina Green. The National Archives sp 12/154/13 ff 23-24. After his attainder in 1589, the Manor reverted again to the Crown and remained so for the rest of Elizabeth’s reign. 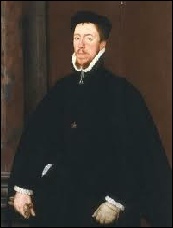 After the accession of James I however it was then transferred to Henry Howard (1540-1614), younger brother of the attainted 4th Duke. Evidence for this comes from two documents from 1595 to 1607. The first, in 1588 or 1589 seems to refer to a temporary transfer of the Manor for the use of Phillip’s sister, Margaret as part of a marriage settlement. It was probably transferred just prior to Phillip’s death. The second, in 1607, transfers the ownership to Henry Howard. Assignment of lease for lives by Sir John Peyton knight and Sir John his son to Henry, Earl of Northampton, of Lords Close, the Castle Garden, toll of boats and carts with fish from the sea to Stourbridge Fair passing by the liberty of Rising Chase, 10a. in Babingley and Newton near Broade Water, land in Hillington Common, land called the Paile or Constabulary, underwood of Alderacres, land near Rising Mill supposed to be a decayed fishpond called the Castle Ponde, all in Castle Rising, Newton, Babingley, and Hillington, leased to the Peytons by letters Patent in 1595 following the attainder of the Earl of Arundel. Henry was the younger brother (Henry, Earl of Surrey) of Thomas Howard, the 4th Duke of Norfolk who had been attainted and executed in 1572 (see above). He was also the son of Frances de Vere (mentioned above) who was the aunt of Edward de Vere. Henry Howard is associated with the village of Castle Rising as the person who had the Trinity Hospital built. Henry Howard has been described as one of the most unscrupulous and treacherous characters of the age, an age where many were treacherous and unscrupulous. He was never able to endear himself to Queen Elizabeth, but aligned himself to her successor, King James I. This presumably is the reason why he became Lord of the Manor only after the death of Elizabeth. He presided over the trials of both Walter Raleigh and Guy Fawkes and died in 1614. In Bradfer-Lawrence’s History of Castle Rising there is a reasonably complete list of Lords of the Manor of Castle Rising from 1066 (Stigand) to 1899 (Charles Alfred Howard). Only from the years 1572 until 1614 does there seem to be uncertainty. Wikipedia Phillip 20th Earl of Arundel. Clearly the deer park was still in existence at this time. Bradfer-Lawrence H.L. (1932) Castle Rising, A short history of the Castle, Honour, Church and Borough of Castle Rising, Norfolk. West Norfolk & King’s Lynn Newspaper Co. Ltd. King’s Lynn. 1573 Edward de Vere, 17th Earl of Oxford. No date Philip Howard, 18th (sic) Earl of Arundel. No date Henry Howard, Earl of Northampton. 1614 Thomas Howard, Earl of Arundel. 1578 Edward de Vere, 17th Earl of Oxford. 1584 Saint Philip Howard, 20th Earl of Arundel. 1589 Queen Elizabeth and after her death James I. 1607 Henry Howard, 1st Earl of Northampton. Below is a family tree which shows the relationship between the various Lords of the Manor of this period. Whereas the lineage of the various Howards is clear, it is also obvious that Edward de Vere is not part of the natural succession. The Lords of the Manor of Castle Rising are indicated in Blue. English nobleman, son of Henry Howard, earl of Surrey. He succeeded his grandfather, the 3rd Duke, in 1554 and became Lord of the Manor of Castle Rising at that time. He was favoured by Queen Elizabeth I, although he was jealous of the larger measure of confidence she placed in Robert Dudley, earl of Leicester. Norfolk commanded the English forces that intervened in Scotland in 1559-60 and in 1568 was chief of the commission that inquired into Scottish affairs after the flight of Mary, Queen of Scots to England. A widower, he conducted secret negotiations for Mary's hand. Elizabeth heard of the project, however, and forbade it, and Norfolk was imprisoned (1569-70). On his release Norfolk was drawn into the plot of Ridolfi, agent of Philip II of Spain, who was planning a Spanish invasion and the dethronement of Elizabeth. The plot was discovered, Norfolk was imprisoned (1571) in the Tower of London, tried, and beheaded. Being beheaded seems to have been a family trait because both his father and his son also lost their heads. One of the more interesting Lords of the Manor of Castle Rising was Edward de Vere, 17th Earl of Oxford. The Earls of Oxford were among the most important members of the English nobility, dating from the 11th century until 1702. Their family seat was at Castle Hedingham in Essex. The 11th Earl was in command at Agincourt in 1415 and John, the 13th Earl was a leading Lancastrian during the Wars of the Roses. He was in command at the Battle of Bosworth, alongside Henry Tudor (later Henry VII) in 1485, where he defeated the then Duke of Norfolk, a leading Yorkist. 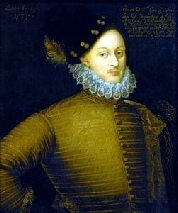 The next Earl of Oxford to be associated with Castle Rising was Edward de Vere, the 17th Earl (1550-1604). His great-grandfather was a first cousin of the 12th Earl (above) so they were not closely related. He was however prominent because of his closeness to the Court of Queen Elizabeth. His first wife was the daughter of Sir William Cecil (Lord Burghley) a leading advisor to Queen Elizabeth in the later part of her reign. Queen Elizabeth had come into the possession of the Manor as a result of the execution of Thomas Howard, 4th Duke of Norfolk, in 1572 for his plot, with Mary Queen of Scots, to restore Catholicism. He is perhaps most renowned at the present day as being one of the proposed authors of the works of William Shakespeare. His classical education, his knowledge of the Court of Queen Elizabeth and his family connection with Elsinore in Denmark (home of Hamlet) are presented as evidence in favour, but the date of his death and linguistic analyses of the style of the two writers make his claim unconvincing. Shakespeare’s “Tempest” requires information which would only be available in 1610, 15 years after the death of de Vere. He was nevertheless a poet of some talent. He went to Queen’s College, Cambridge and entered the Royal Court in the late 1560s having been made a royal ward and raised in the household of Sir William Cecil early in his life upon the death of his father. At the age of 17, he killed a servant while practicing fencing, but was not convicted as it was claimed that the unfortunate man had committed suicide by running into the sword! "The Earl of Oxford, making of his low obeisance to Queen Elizabeth happened to let a Fart, at which he was so abashed and ashamed that he went to travel, seven years. On his return the Queen welcomed him home and said, 'My Lord, I had forgot the Fart’”. Clearly John Aubrey was inaccurate about the length of the overseas visit by Edward de Vere so there may be some doubt about the veracity of the story itself, but it does somehow bring him to life! The period of his travels appears to have been a wild period of his life as he was known to have consorted with a prostitute called Virginia Padoana in Venice and with a 16 year old Venetian choirboy named Orazio Cogno whom he brought back to London with him. Apparently on his return his ship was attacked by pirates and he was stripped naked, only being allowed to escape when the pirates realized his noble status. On his return he became estranged from his wife for some time and refused to accept the fatherhood of the child born during his absence. He fathered an illegitimate child by Ann Vavasour, niece of Sir Thomas Knyvett, which led to a prolonged feud. He was briefly imprisoned in the Tower of London. He later became reconciled with Ann Cecil and they had 4children. Ann died in 1588 and he then married Elizabeth Trentham, a union which resulted in the 18th Earl of Oxford. In later life he seemed to settle down and commanded one of the English warships which fought against the Spanish Armada. It appears that his ability to manage his finances was sadly inadequate and in 1586 he was granted an annual pension of £1000. His later life seems to have been dominated by his writing. He outlasted Queen Elizabeth by just one year, dying in the first year of King James I in 1604. 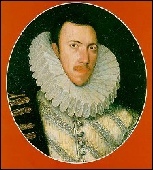 Saint Phillip Howard, 20th Earl of Arundel. at Whitehall Palace with the Royal Family in attendance. and was named after his godfather, King Philip of Spain.
. He had petitioned the Queen as he lay dying to allow him to see his beloved wife and his son, who had been born after his imprisonment. The Queen responded that if he would return to Protestantism. His tomb was moved to the Catholic cathedral in Arundel in 1971 and remains a site of pilgrimage.